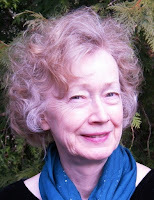 Maren O. Mitchell’s poems have appeared in Iodine Poetry Journal, The Lake (UK), Appalachian Heritage, The South Carolina Review, Hotel Amerika, Southern Humanities Review, Skive (AUS), The Classical Outlook, Town Creek Poetry, Appalachian Journal, Pirene’s Fountain, Wild Goose Poetry Review and elsewhere. Her work is included in Negative Capability Press Anthology of Georgia Poetry, The Southern Poetry Anthologies, V: Georgia & VII: North Carolina and Sunrise from Blue Thunder. Poems are forthcoming in Hotel Amerika and Chiron Review. Her nonfiction book is Beat Chronic Pain, An Insider’s Guide (Line of Sight Press, 2012) www.lineofsightpress.com and is available at the Curiosity Shop bookstore in Murphy, NC, and on Amazon. Mitchell has taught poetry at Blue Ridge Community College, Flat Rock, NC, and catalogued at the Carl Sandburg Home National Historic Site. In 2012 she received 1st Place Award for Excellence in Poetry from the Georgia Poetry Society. For over twenty years, across five southeastern states, she has taught origami, the Japanese art of paper folding. A native of North Carolina, in her childhood Mitchell lived in Bordeaux, France, and Kaiserslautern, Germany. After moving throughout the southeast U.S., she now lives with her husband in Young Harris, Georgia, on the edge of the national forest. This workshop will focus on creativity, originality, and imagery, answering the questions, "Where do we find the stuff for poetry?" "How do we know what to include?" and "How do we make it good?" 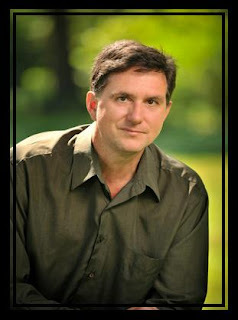 Scott Owens teaches at Catawba Valley Community College, edits Wild Goose Poetry Review, owns and operates Taste Full Beans Coffeehouse and Gallery and serves as vice-president of the NC Poetry Society. His work has received awards from the Academy of American Poets, the Pushcart Prize Anthology, the Next Generation/Indie Lit Awards, the NC Writers Network, the NC Poetry Society, and the Poetry Society of SC, and his articles about poetry have been featured in Poet’s Market twice. Congratulations to Netwest member, Barbara Gabriel. 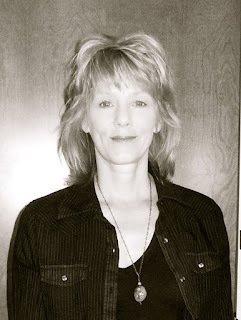 Just a couple of years ago, she began studying the craft of writing with a serious bent toward accomplishment. See two of her poems in Wild Goose Poetry Review. While reading Wild Goose, you will find Robert S. King's poetry. through the nerves down to the roots?" Read another mountain poet, Michael Beadle. This poem sends a shiver up my spine. And congrats to Scott Owens, editor of Wild Goose, for another fine edition of the best online poetry journal.